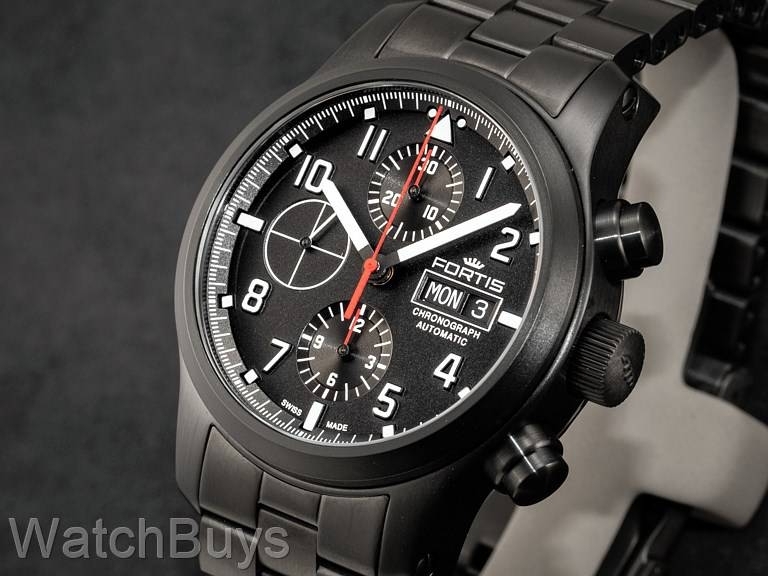 The new Fortis Aviatis Aeromaster Professional Chronograph features a black PVD case and bracelet with the clean dial layout that is a hallmark of this series. 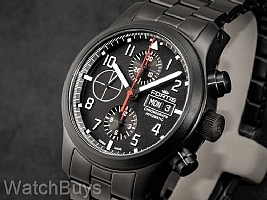 This watch is also available in a time, day and date model without the chronograph functions. This watch is fitted with a black Fortis PVD bracelet with locking clasp.